Just a post to let you know about dues procedure. We have received some well-timed trinkets from the MQG–pins! We’re holding them ransom (haha, kidding, sort of) for people who pay dues and complete a membership application form. These forms give us full contact information and a little legal information about show and tell at meetings. If you have already paid your dues, please download the application form, sign it, and bring it with you to the meeting. (I will also have some hard copies there, but this is a real time saver.) You will get a pin! If you have not paid your dues yet, you can do it in one of three ways. 1 – Bring your $45 in cash or check (made out to North Jersey Modern Quilt Guild) to our December 19 meeting. 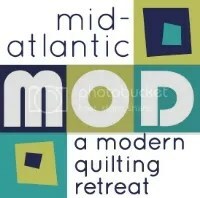 2 – Mail a check for $45 (made out to North Jersey Modern Quilt Guild) to Jessica before January 1. Email njmqginfo(at)gmail.com for the address. 3 – Pay online using PayPal. There is a covenience charge of $1.61, but we accept any credit card, fast and easy. Once you have paid your dues and handed in your application form, you get a pin. Everyone that is in good standing as of January 1 will also get a NJMQG/MQG membership card early in 2014. Membership cards will be used for events and discounts, including the 10% discount at Rock Paper Scissors that all members already enjoy. Until then, your pin will be your membership card. Happy quilting, and see you next week! We’ll have some more updates about the meeting shortly. Hi – I just joined via paypal. I put all of my information in the “special instructions to seller” area. Please let me know if you need me to send in an application too, and if so, where to send it. thanks. Look forward to meeting you in person soon! Thanks Erin! I’m going to email you an address to mail an application, unless you’re planning to come to the December meeting.